Vyvanse and BED: Money-making in Disguise as Treatment? Fairly recently, Vyvanse – a drug known for treating ADHD – was approved to treat binge eating disorder (BED). I was first made aware of this drug via a message sent to my blog from a woman living in the US who was angry about the effects this could potentially have on people who were prescribed it. I did a bit of reading up about it, but soon forgot about it. The topic came up again when a friend linked me to an article about the drug being used for treating BED, which I read, and my interest was piqued. I started thinking about the problems that would arise from it’s approval to treat BED that are both numerous and highly concerning. In May 2013, the DSM-V was published, with BED being newly recognised as a psychiatric disorder. On the surface, this sounds great: sufferers of BED were finally being recognised and validated, but a further look into this and the subsequent approval of Vyvanse to treat it raises some serious questions. – “an amount of food that is definitely larger than most people would eat in a similar period of time under similar circumstances” – this is particularly non-specific, and in our society, many people have a distorted view on what is larger than most people, especially when so many are restricting. It is also normal for someone who has been restricting to experience eating more than normal, because of the body trying to restore itself to being energy-balanced. – “a sense of lack of control over eating during the episode” – many people feel out of control when it comes to food because we are made to feel that out of control if we are not eating in some strict and regimented way. That feeling is even more accentuated when the drive to survive overcomes the person’s desire to diet, and the body makes up for lost energy by “binging”. – Eating rapidly is also part of the drive to get energy in as fast as possible when it needs it. – Eating until uncomfortably full is easy to do when the body requires more energy than the stomach has room. The desire for food is just another way for the body to communicate hunger, and people often do not recognise this as a type of physical hunger (the brain is part of our physical being as well). – Eating alone when eating what someone considers more than normal, or when someone is experiencing reactive eating in response to restriction, is – unfortunately – normal because of the way our society has surrounded food in a thick layer of shame. – And if you are dieting, or misinterpreting your eating as a “binge” (because I would argue that many people have a distorted view of what a binge actually is), this is likely to happen “at least once a week for three months”. “With these diagnostic criteria [for BED], there is huge potential for a false positive. Do a lot of people struggle with binge-eating? Absolutely. Are all of these people actually ill? That is the major question around this diagnosis and the Vyvanse treatment,” said Lisa Cosgrove, a professor and clinical Psychologist at the University of Massachusetts, Boston. Shire hopes to increase sales of the drug by broadening its uses into other patient groups, such as very young children and sufferers of the newly-recognised psychiatric problem binge-eating disorder (BED). The drug maker told investors on Monday that it expected to make $300m from sales of Vyvanse to BED patients by 2020, following a successful clinical trial showing the drug helped control binge eating. This raises a red flag for me: Shire will desperately want to make as much money as possible before its patent expires, and this means expanding its treatment to those with other illnesses other than ADHD. Shire had already thought of BED as an option, and already had that idea in the pipeline. Is the fact that BED was finally recognised and put into the DSM-V just when Shire needed a new illness to treat a convenient coincidence, or something more dubious? In January 2015, Vyvanse was approved to treat BED. The fairly vague criteria for BED could mean that BED is over-diagnosed and over treated, with a drug that is an amphetamine. Hang on, what? Amphetamines became extremely popular in the mid 1900s as a weightloss drug, before concerns about the dangerous side effects caused the FDA to ban amphetamines from diet ads. The most serious risks include psychiatric problems and heart complications, including sudden death in people who have heart problems or heart defects, and stroke and heart attack in adults. Central nervous system stimulants, like Vyvanse, may cause psychotic or manic symptoms, such as hallucinations, delusional thinking, or mania, even in individuals without a prior history of psychotic illness. 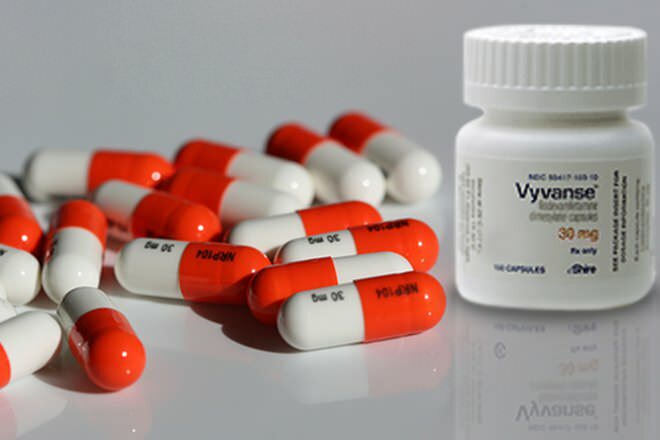 The most common side effects reported by people taking Vyvanse in the clinical trials included dry mouth, sleeplessness (insomnia), increased heart rate, jittery feelings, constipation, and anxiety. – take from here. Vyvanse was approved for treating BED after only two 12-week studies. People actually suffering from BED are desperate to get rid of their mental illness, but therein lies the issue: BED is a mental illness. I have severe reservations about an appetite suppressant being used to combat an eating disorder that for a lot of people has roots in trauma, and other deep-seated emotional problems. The appetite of that person isn’t the issue: the drive to eat as a coping mechanism is. And not only are we going to be dealing with actual sufferers, but those misdiagnosed because of the ill-defined criteria, and those faking the illness to get a hold of Vyvanse, either because of its street value, or because of its use as a weightloss drug. Which brings me to the dangers of those with restrictive eating disorders reeling off the list of BED symptoms, and getting a prescription of Vyvanse to continue their downward spiral that only leads closer and closer to death. Because a binge eating disorder diagnosis relies on self-reported behaviour, it means that it is not difficult to fake, and consequently, it is not difficult to get a diagnosis. Pro-ana sites are already sharing their experiences with Vyvanse, and tips on how to get hold of the drug. The consequences of this could be catastrophic. I was recently diagnosed with BED and prescribed Vyvanse. My psychiatrist gave it to me because he said I was gaining too much weight. He gave it to me to use as a weightless pill. I don’t think that’s okay. In the past I have suffered from anorexia and bulimia. So of course, I accepted the pill. Hoping it would be easier to not eat at all. I think this may be a problem for a lot of people very soon. This shows that already Vyvanse is being misused by doctors themselves, who are supposed to be people that we trust with our healthcare. But with the pharmaceutical industry being all about the money-making, it’s hardly surprising. In my opinion, the inclusion of BED in the DSM-V, the vague diagnosis criteria, the subsequent research into using Vyvanse to treat BED, and the swift approval of that usage, are linked together. The pharmaceutical company have helped themselves to make more profit off both those with BED, and so many without it, with a drug that in my opinion will not successfully treat the disorder it has been approved for. And this drug is likely to have devastating consequences. This entry was posted in eating disorder recovery, eating disorders, healthcare industry and tagged ADHD, BED, binge eating disorder, binging, diet, diet culture, dieting, drugs, dsm-5, dsm-v, eating disorders, eating disorders recovery, health, healthcare industry, pharmaceutical industry, society, vyavanse, weight loss on July 29, 2015 by Sarah Frances Young. What you wrote about the diagnostic criteria is really interesting. I had never thought about it that way. As for the drug, bloody hell! That’s… I was going to say shocking but tbh not so much. It makes me sick. And it’s going to literally makes a lot of other people sick too.